Today (12.3.2019), NIA arrested three accused persons namely (i) Parveez Ahmad Wani, aged 35 years, son of Gulam Mohd. Wani resident of village Thokarpora, PS Imam Sahib, District Shopian, J&K (ii) Javid Yousuf Dar, aged 21 years, son of Mohd. Yousuf Dar, resident of Gundi Darvesh, District Shopian, J&K and (iii) Subzar Ahmad Kumar, aged 20 years, son of Manzoor Ahmad Kumar resident of Shermal, District Shopian, J&K at Jammu in case RC No.32/2018/NIA/DLI dated 18.10.2018 u/s 381,120B of RPC, 7/25 of Arms Act and 16,18, 20, 23 & 38 of UA (P) Act. 2. Case relates to theft of weapons from the guard room of official residence of Mr. Aijaz Ahmad Mir, Ex-MLA of Wachi, at Q. No. J/11, Jawahar Nagar, Srinagar. SPO Adil Bashir Sheikh s/o of Bashir Ahmad Sheikh r/o Zainapora, District Shopian was attached with him at his official residence. On 28.09.2018, SPO Adil Bashir Sheikh fled away with 07 AK rifles issued to the security personnel attached with the ex MLA and also a personal pistol of aforesaid MLA. A case FIR No. 57/2018 dated 28.09.2018 u/s 380 of RPC, Sec. 07, 25 of Arms Act, 03 of PEPO Act and 16,18, 20 & 38 of the UA (P) Act was registered at PS Raj Bagh, Srinagar, J&K in this regard. Later this case was registered by NIA as RC-32/2018/NIA/DLI and investigation taken up. 3. During investigation it emerged that SPO Adil Bashir Sheikh and his associates namely Yawar Ahmad Dar s/o Mushtaq Ahmad Dar resident of Thokarpora, District Shopian (now active militant of HM) and Rafique Ahmad Bhat son of Mohd. Ashraf Bhat r/o Achan, District Pulwama had taken away the above mentioned weapons as part of conspiracy hatched by Kashmir based top leadership of proscribed militant organisation Hizb-ul-Mujahideen (HM). NIA had earlier arrested accused Rafique Ahmad Bhat in the instant case. Accused Adil Bashir Sheikh and Yawar Ahmad Dar are still absconding. 4. During investigation, it has also emerged that Parveez Ahmad Wani, Javid Yousuf Dar and Subzar Ahmad Kumar had provided logistical support to the above mentioned accused persons as a part of the conspiracy. 5. Arrested accused viz. 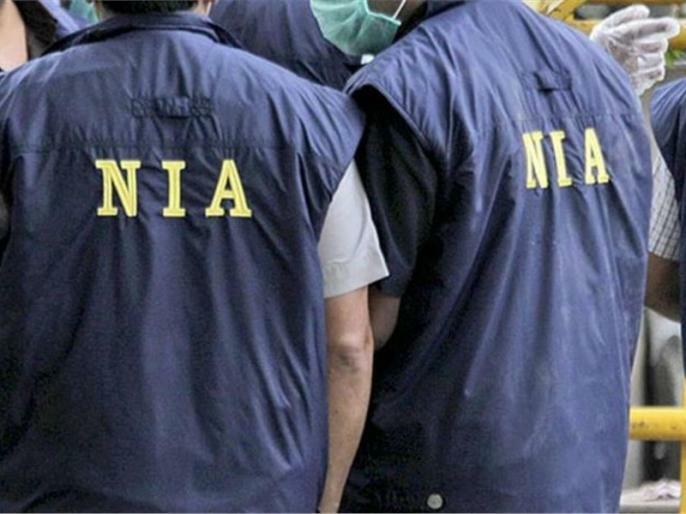 Parveez Ahmad Wani, Javid Yousuf Dar and Subzar Ahmad Kumar will be produced in the Special NIA Court, Jammu tomorrow for seeking police custody for further investigation and unearthing the larger conspiracy.